A tripod turnstile is a gate with three revolving arms. Tripod turnstiles restrict access to one person at a time with a set of rotating tripod barrier arms. 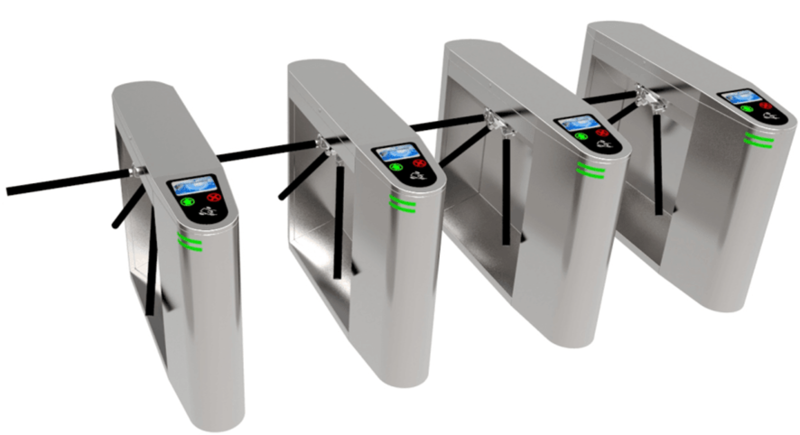 The tripod turnstile gate is suitable for all kinds of public places that require pedestrians to, such as scenic place, exhibition halls, cinemas, docks, railway stations, bus stations and other places where ticket inspection is needed, factory time attendance, canteen, golf course, monthly card leisure centers and other places that require authorization to enter; electronic factory anti-static control areas, need to identify faces, identify fingerprints and other security measures are required facility. The 3 arm turnstile is configured with two square solenoid valves to control in and out, locking and unlocking. After the authorization is allowed, the solenoid drives the locating arm to unlock. The release lever can be rotated in one direction. And the user can gently push the arm through the passage. There is another round solenoid is for arm drop when there is an emergency. Cut the power off, the arm will drop down automatically for the free pass. The tripod turnstile is multi-functional. The semi-automatic three-roller arm design is designed to prevent reverse rotation. They can operate with added RFID card reader access, fingerprint machine, facial recognition or palm recognition system to do better people management. Manual tripod gate: purely mechanical without any electrical equipment, users only need to gently push the arms by hand, they can pass, no need to swipe card, automatically locate and reset the system, control one-way free passage, and the other direction is prohibited from passing. 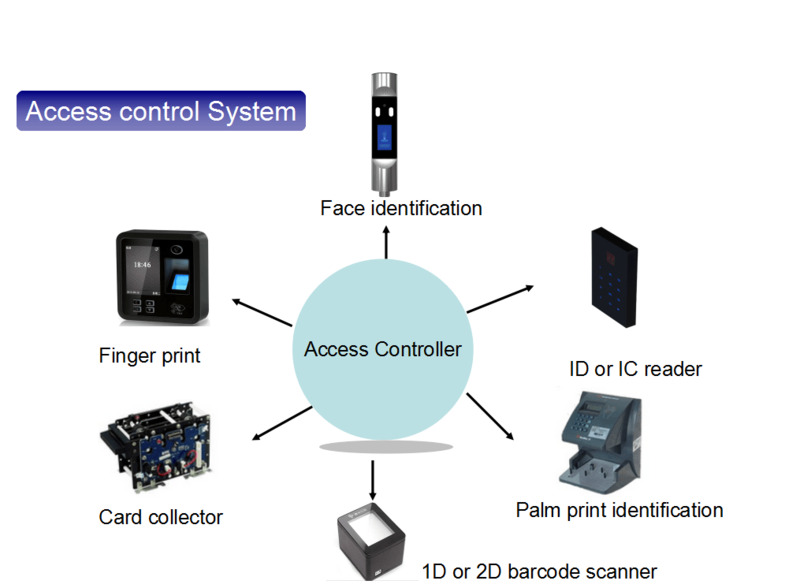 Integrated with all access control system, like fingerprint machine, RFID card reader, Facial Recognition, ESD, facial recognition,etc.